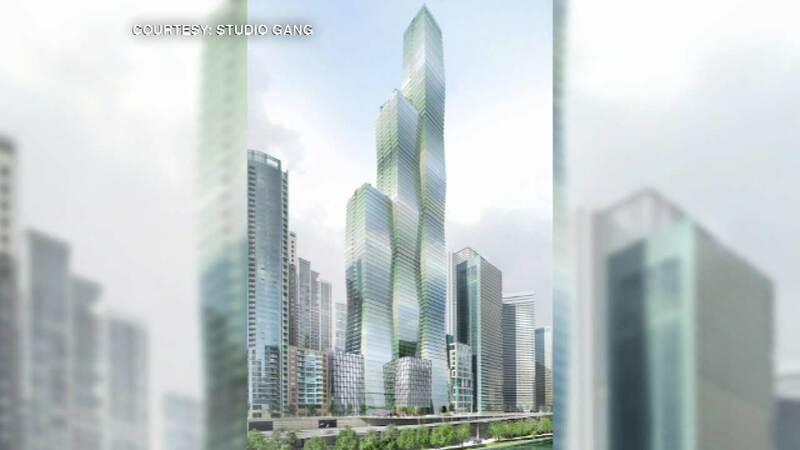 CHICAGO (WLS) -- We're getting a better idea of the look and scope of a proposed skyscraper that could become the third-tallest building in the city. Renderings of the 88-story Wanda Vista Tower show the building's three interlocking towers of varied height. The hotel and condo development would be located along the 300 block of East Wacker Drive and once completed would trail only the Willis Tower and the Trump Tower as the tallest building in Chicago.